The module is designed for the design of serial stamps performing separating (punching, punching) and forming (bending, drawing) operations of sheet punching. It allows the tool builder to use a ready-made algorithm for the development of a stamp, special design tools, and a library of standard components. The initial data for the development of a stamp is a 3D model of a part developed in SolidWorks or imported into it from another CAD system. 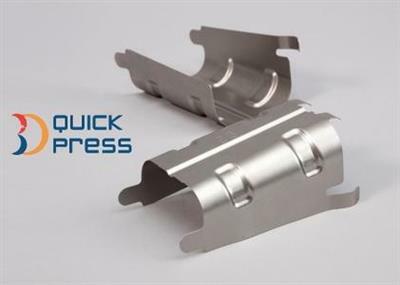 3D QuickTools Ltd., a the leader in 3D die design automation and Strategic Technology Solutions, has released update for 3DQuickPress v6 is a last release SolidWorks add-on for progressive die design.